On a biological level stress can affect hormones directly in a matter of minutes. When we are constantly living in a state of stress adrenaline is continually released. 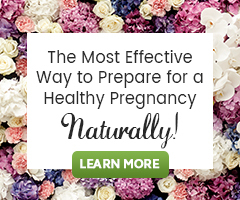 Adrenaline inhibits our ability to utilize progesterone, therefore directly affecting our fertility. Prolactin is another hormone secreted when we are stressed. Normally prolactin is released by the pituitary gland to stimulate lactation to prepare for nursing. Prolactin is what inhibits a breastfeeding mom from getting pregnant while she is nursing. In times of stress higher levels of prolactin is released. When the body is in constant stress (aka fight or flight) all of the blood goes to the muscles. The uterus and ovaries then get less blood flow, therefore does not function at its optimum. All of these things are happening while we are under stress. So the learning here is to find a practice that can help us to react to our stress differently, a way to diffuse our stress and release our stress. It needs to be a constant practice, because sisters, stress in the world is not going to disappear but we do have control over how our bodies react to it. Find some that interest you and incorporate them into your life. Take care of yourself.